CHICAGO — Hoping to help others who have struggled with depression, Olympic champion Michael Phelps on Tuesday spoke about how had thoughts of suicide at the height of his record-setting career, and how helping others battle their own depression has been better than any gold medal, CBS Chicago reports. He spoke at The Kennedy Forum in Chicago on Tuesday as part of a national summit focusing on depression, addiction, and other mental health issues. 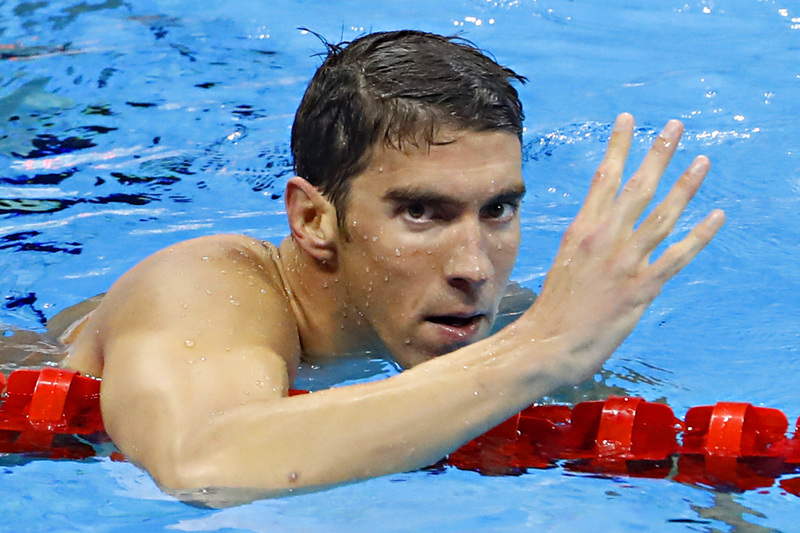 Phelps, the most decorated Olympian of all time, was the main attraction. Phelps has won 28 Olympic medals, 23 of them gold; but the swimming sensation said, at the height of his Olympic career, he considered killing himself. After several days holed up in his room, Phelps says he picked himself up and found the strength to admit he had a problem and needed help. He said it's transformed him, and saved his life. Now, Phelps said his new mission is to talk about his struggles in the hopes of encouraging others to do the same and get help when they need it most. When people tell him going public with his story of depression and suicidal thoughts helped save someone's life, he said the feeling he gets is incomparable. "Those moments and those feelings and those emotions for me are light years better than ever winning an Olympic gold medal. You have the chance to save a life, and that's way more powerful," Phelps said. Phelps was interviewed by political strategist David Axelrod, who earlier talked about the day in 1975 when a Chicago police officer knocked on his dorm room door to tell him of his father's suicide. "My whole world was turned upside down. My father was my best friend," Axelrod said. Axelrod said he didn't talk about his father's suicide for 30 years, but now does so to honor his father's legacy and help remove the stigma surrounding mental health issues. The Kennedy Forum was founded five years ago by former U.S. Rep. Patrick Kennedy, who left Congress in order to focus on issues involving brain diseases like mental health and addiction. He said the forum is meant to set a new standard for the future of health care in the United States. Kennedy said he hopes Phelps can do for depression what former President Ronald Reagan did for Alzheimer's disease when he went public with his diagnosis. Kennedy would like to see an increase in funding to be used in the fight against depression and suicide.